How I entered the field was actually by accident. I had always had a creative and nurturing side. Taking Art, Violin, Chorus, care taking, gardening and exploring all entrepreneurial sides of myself. My educational background is in a completely unrelated field. I graduated college with a Health care management degree convinced health care was the field for me. I just spent 2 years studying for a degree I thought I should be doing; Because it’s the Society’s rule of thumb. Go to school graduate and get a career. But what they forget to tell you is; sometimes all the college time spent and loans taken will never make you happy. Especially if you don’t follow your dreams. I had just assumed this was the path I needed to take considering I spent 2 years getting a health care management degree. With that being said the last few years I had actually taken a break from the medical field, got married and had a son. While I was having my son, I was helping my husbands bosses as a favor with their social media page and website for their Campground and Restaurant. It wasn’t until the Facebook ads became popular that we really started to see a Return on our investment. To be more specific it was their busiest year in 29 years of business last year! How is that possible? Must have been magic? Nope all it takes is to create Ads that elicit some intrigue and engage the customer. My husband’s boss’s business is only seasonal so during this past winter I had some time to really think Before making a decision on what I really wanted to do for a career. After many years of being a Certified nursing assistant and a Personal Care Assistant I was certain I knew my professional path. I was actually registered and all signed up for classes at Greenfield Community College when it hit me; What am I doing? Is this really the career choice I want? My end goal was Nursing but I wanted to get started in the Medical Assistant program. After I signed up for my classes I made my way out to my truck got inside and just starred at the papers. 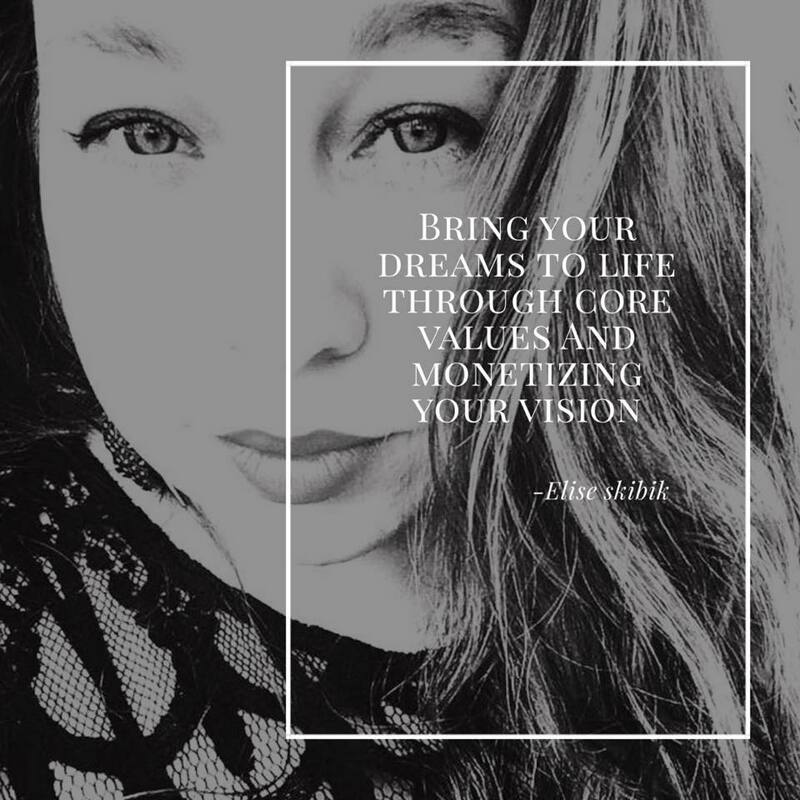 With the support of my husband and my first real clients I took a risk and got my business certificate and a tax Id number and in January 2018 I started Sky High Marketing. I knew I didn’t want to suppress my creativity any longer and I knew I always wanted to help people and what better way to do help people than by combining both of my passions. One of my biggest mentors in my life was my grandfather and he use to say, “life is too short not to take risk.” Man was he right. I think turning 30 years old really set my goals in motion and having a child I learned to grow from trial and error and the will not to give up! I want to inspire people to never give up on their dreams and to show them that yes you can change your career and still be successful. I knew starting a business was going to be challenging considering I didn’t have some fancy Social media or website building degree. However, what I did have was learning how to use these programs myself with some professional guidance from those who actually have degrees in this field and countless hours of trial an error. Never mind the years of experience of learning how to run and manage a business from working under others who owned and had successful businesses. It seems to me that there is no amount of college that could teach someone real time experience like the way I was learning. I knew that I was confident enough to make this my career choice. With the combination of being creatively smart, my prior experience, and being a fast learner, I believe I can make other people’s social media pages visually appealing and grow. Examples of my work can be found on my website. Most recently one of client reached 27,000 fans on her Facebook by implementing one of my new Facebook Ad plans. I look forward to growing and networking within the Berkshires and Pioneer Valley. My goal is to make social media and website development fun and easy to use and I am committed to helping businesses grow and soar; sky high.